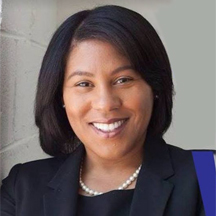 Sheila Bynum-Coleman ran in 2017 in the 62nd dist, received 48% of vote. She lost to Riley Ingram. "I believe that everyone should have access to affordable, quality healthcare as a right." "The school to prison pipeline is real in America. I believe our school resource officers need to evaluate and revise their roles within the schools to protect and serve - not to interrogate and/or discipline." Fully supports the Equal Rights Amendment (ERA). Believes in equal pay for equal work. Believes medical decisions should be made by a woman and her health care provider. Legislators do not belong in our medical offices. "I believe we can reduce gun violence through common sense gun reform, including universal background checks and universal laws to offer licenses to hold a firearm." "I want the General Assembly to take seriously the link between local actions and our climate. We have the power to make meaningful changes, starting in our own communities."